It's a beautiful hotel. The suites are large and clean. The bed was very comfortable. The property was beautiful and the staff was amazing! We had a wonderful stay! Everything was fine. Enjoy the stay and the location was great. Pools closed at 6 Pm. No where to sit outside and just have drinks or snacks. Pretty far walk to heart of strip. 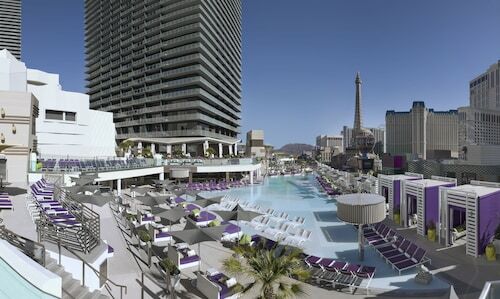 Which hotels are in the middle of the Las Vegas Strip? Running the length of South Las Vegas Boulevard from Sahara Avenue in the north to Mandalay Bay Road in the south, the Strip is about four miles long. 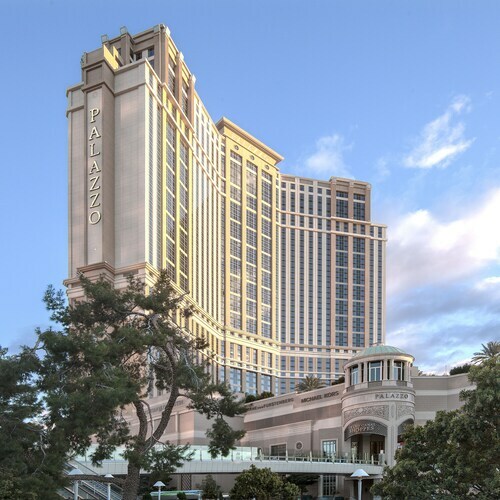 You’ll have the best shopping, dining and nightlife in Las Vegas at your fingertips when you stay on the Strip. You have a lot of options when it comes to Las Vegas hotels in this area, but staying right in the middle of the Strip is always a good call. Visiting Vegas on a budget? The cheapest time to go to Vegas is the fall, from September to November. The summer vacationers have left, bringing down both room rates and flight prices. It’s always cheaper to book accommodation in Las Vegas during the week, rather than over a weekend, and there are other ways to save, too. A stay off-Strip in Downtown Vegas accommodation has all the charm without the high prices: the storied Golden Nugget is a great choice. Between downtown and the Strip is the Stratosphere Hotel, a popular Las Vegas hotel with thrill rides and an 884-foot-high restaurant. Want budget options on the Strip? On the northern end, Circus Circus is a family favorite, while to the south, The Tropicana has swim-up blackjack—it doesn’t get much more Vegas than that. You can also check out motels in Las Vegas for accommodation that has everything you need at the price you want. Las Vegas truly has something for everyone. 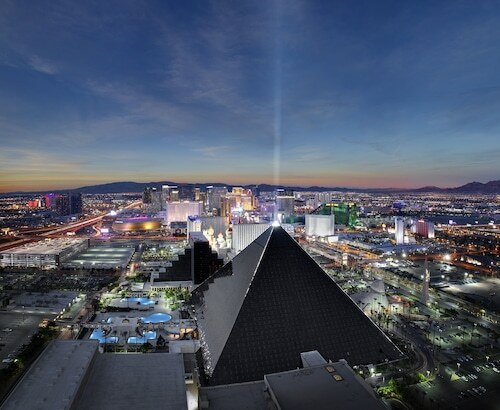 It’s home to tons of popular long-running shows, like the Penn & Teller magic show at The Rio or the always-unique Blue Man Group at Luxor Hotel and Casino. And the dazzling Cirque du Soleil has six—yes, six!—shows for you to choose from. The original is the long-running Mystère, at Treasure Island Hotel & Casino. The Strip isn’t the only exciting place in Vegas. Head to Downtown Vegas for an old-school attractions like the Neon Museum. Book a stay at Fremont Hotel & Casino to take your trip into the future at the Fremont Street Experience: fly high on the SlotZilla Zipline and experience the world’s largest video screen. But don’t stop your adventure at ziplining; there are also tons of outdoorsy day trips from Las Vegas, like the Grand Canyon West Rim Bus Tour or the Hoover Dam Tour. + I loved the shape of the hotel inside. - The waiting time to check in If they shorten the waiting time to check this hotel is a must go. The bed are amazing, so comfortable and soft, it's very quiet.